In the past five weeks, I’ve entered five different online writing contests. Some have gone well; others resulted in virtual crickets. Writing is, after all, a subjective business. 1. Contests are a great way to see if your manuscript is working. If your CPs and your family and friends love your MS–that’s great! But it’s also helpful to know what a complete stranger sees when they read your pages. 2. Contests–particularly contests with a heavy twitter presence like #PitchWars, #PitchMadness, #PitMas, #PitMad, are a great way to connect with other aspiring authors–and with the more advanced mentors who help run the contests. 3. Contests are also helpful to get a sense for the current market. You can see what genres agents are interested in and which are oversaturated. I’ve also found contests extremely helpful for getting a sense of what level of writing I need to be competitive. My first contest totally shocked me by how *good* some of the stuff was and made me set my own bar much, much higher. 4. Contests force you to come up with a good pitch/hook for your work. I participated in the most recent PitchWars contest and had to write a synopsis for the mentors–which came in extremely handy when several agents later asked for one as well! If not for that initial (lower-stakes) nudge, I would not have had a synopsis ready. 5. Contests are also a terrific way to find agents who might not otherwise have considered your work. I have had contest requests from agents who had previously rejected my query. I’ve also had requests from agents who weren’t on my query list. NB: a lot of contests require that your manuscript be finished and polished so check the rules carefully before submitting. There’s nothing enjoyable about entering “just to see” and winning–and then staying up late the entire night to frantically finish one more revision. (Trust me on this). If you currently have a finished MS, the awesome twitter pitch party, #Pitmad, is next week: September 9th. Operation Awesome’s Mystery Agent Contests: the first of each month, Operation Awesome hosts a contest where a mystery agent (identity revealed when the contest is over) picks their favorite pitch from that month’s entries. The entry requirements vary by agent. Mother.Write.Repeat hosts a regular contest, called “The Agents Inbox,” where writers submit queries and the first pages of their novel and the agent critiques each one before choosing a winner. A great opportunity to get agent feedback. The dates for these contests vary, so I suggest following Krista’s very helpful blog. (She also posts regular agent interviews). Miss Snark’s First Victim also hosts a monthly secret agent contest. MSFV invites all those who enter to comment on other people’s entries–I know Tasha, Elaine and I have all participated and had some good feedback this way. MSFV was one of the first contests I actually won–even though that partial request turned into a “no” it was a good confidence boost for me. And my most recent stint netted me *two* full requests (one was from a lurking agent). First Five Pages, sponsored by Adventures in YA Publishing, accepts the first five pages of a MG or YA novel the first Saturday of every month. Martina Boone, Lisa Gail Green, and/or a guest mentor will offer feedback on how the beginning is working. (This isn’t necessarily a contest, but a great way to get feedback). The Baker’s Dozen. Miss Snark’s First Victim also hosts an awesome contest each December. Authoress and her minions go through all the entries and select those that they think will have the most agent appeal, so just entering isn’t always a guarantee that you’ll get in. It does also cost money to enter, but I entered without getting in and still felt like it was worth it for the chance. My favorite part about this particular contest is the chance to watch the agents try to outbid each other–not only does it give you a great sense of what particular agents are looking for, but some of the trash talk is hilarious. Authoress starts accepting entries late October/early November, so check out her blog for more details. The Writer’s Voice, hosted by Mother.Write.Repeat, along with LoveYA, Cupid’s Literary Connection and Brenda Drake each May. For this contest, each of the sponsoring blogs chooses a “team” of strong writing entries and compete for agent attention. One of the cool things about this contest was that even those who weren’t chosen had an opportunity to have their submission posted on a blog and get feedback from other entrants. Pitch Wars, another massive contest hosted by the indefatigable Brenda Drake (if you’re not already following her on twitter @brendadrake, you should! She knows tons and she hosts awesome contests) where applicants submit a query and first chapter to four mentors, and each mentor chooses a mentee and alternate to help polish their manuscript before the agent war. This year, over 1200 applicants competed for 75 mentee and alternate spots. Pitch Madness is also hosted by Brenda Drake (along with her minions and slush zombies). Here again writers submit a pitch and their first 250, then the contest coordinators chose 64 to vie for agent attention. The last time I participated, I lucked out with a full request and some partials. This usually alternates with Pitch Wars (a fall contest) and is held in the Spring.The contest schedule for both Pitch Wars and Pitch Madness can be found here. #Pitchplus5 contests are hosted twice-yearly by Adventures in YA. Fifty applicants submit their first five pages, which are then posted for comments from the community. Bloggers pick the top 25, which are revised and posted again with a short pitch. Published authors pick the top ten, which are again polished and posted for the agent round. This is currently in process, so the next iteration won’t be until Spring, but go check out the entries! (I’m #21). Pitch Slam, a new contest (as far as I can tell) that involves 35 word pitches and the first 250 words of a manuscript, which you revise for the agent round. This starts October 4, so get ready! PitchMas, hosted by @JessaRusso and @FeakySnucker, is a twice-yearly contest (in July and December), where writers submit pitches, which agents then comb through and make requests. Both PitchMadness and PitchMas have been followed up by a twitter pitch party (#PitMad and #PitchMas) where you post your 140 twitter pitch for your novel and interested agents are invited to check out the hash tag. Gina Denny has an awesome post on twitter pitches that you need to read if you’re thinking of pitching. What other online contests have you participated in? What good ones am I missing here? Great compilation! I entered The Writer's Voice and didn't get chosen, but I'm really glad I entered. I read all those queries on people's blogs and realized my just wasn't making it. I rewrote it several more times based on the feel of which queries had been chosen. I also edited my first chapter to get to the premise on the first page. Then I re-hit the query-trenches and started getting a much better response from agents. I think I really needed to contest to prove to myself that it wasn't just “bad luck” that was leading to agents passing. I actually faced the idea that the words on the page weren't quite ready yet. I didn't change the whole story, but those first few lines, the first words in the query–they are waaaaay important!! Anyway, good luck to everyone in the contests! I didn't get into the Writers Voice either. But yes, contests helped me realize that a query and first page can't just be good. It has to stand out! Thank you for this, Rosalyn! 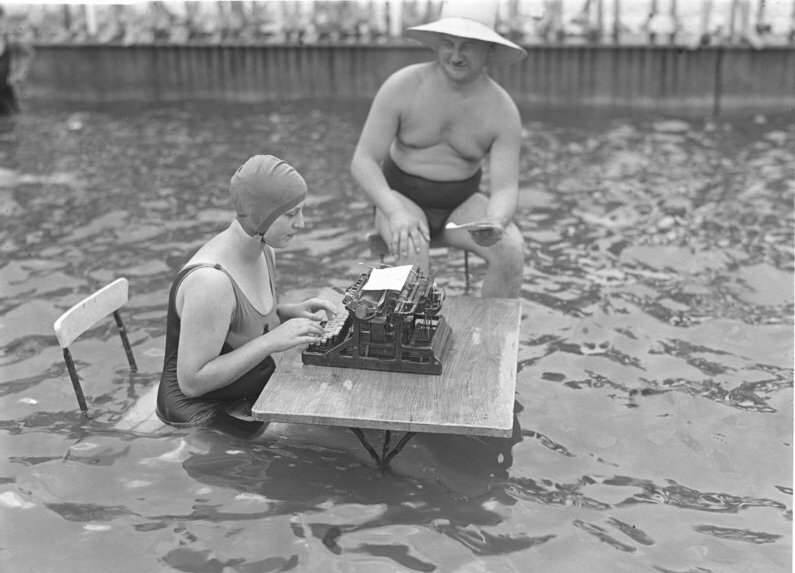 Any tips for teen writers who want to start dipping their toes into contests?